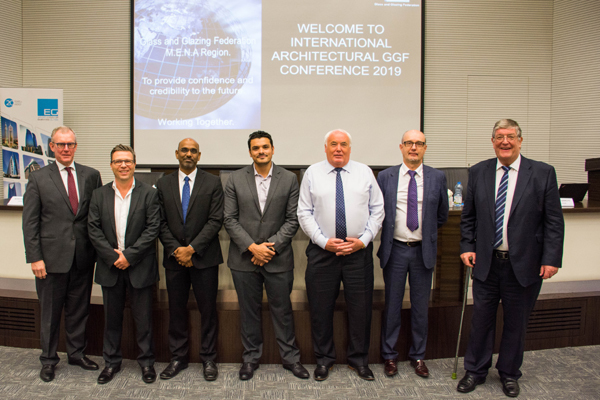 Leading global companies were in Dubai to take part in the International Architectural Glass Conference which put the spotlight on key topics including the lessons learnt from the Grenfell Tower fire tragedy, security and acoustic glazing. The event was hosted by Emirates Glass, one of the largest processors of flat architectural glass in the Middle East, at Dubai Investments House. The open forum of dialogue and discussion gave glass professionals an insight into a number of important industry topics. These included safety and security glazing and the increased use of laminated glass in the Mena region, the effects of acoustic pollution, new developments in silicone sealant glazing design and anisotropy of heat-treated glass, and the benefits offered by retrofit films. A session was fully dedicated to the causes and lessons learned from the Grenfell Tower fire, a 2017 tragedy that took the lives of over 70 lives in a London tower block. Others ranged from the performance of laminated glass, sealant compatibility, adhesive backed polymeric film design and anisotropy. The one-day event, held in co-operation with the Glass and Glazing Federation Mena region (GGF), brought together industry experts and speakers from a range of international firms from the US, UK, Europe and the region, to present to over 130 delegates on a broad range of subjects. Rizwanulla Khan, the executive president of Emirates Glass, dubbed it as a unique event that provided an open forum of dialogue and discussion for the audience. "The goal was to have all stakeholders, including architects, consultants, glass processors, aluminium fabricators, and suppliers disseminate information and knowledge gathered from years of research and hands-on experience," he noted. "The platform not only deliberates on current issues that the industry is confronted with but also lays the groundwork for the future by exploring innovations that are imperative for the glass industry to thrive in the Middle East and beyond," he added. Pascoal DSilva, the chairman of GGF and quality and technical manager at Gulf Glass Industries, said: "GGF has accumulated data over nearly 40 years from their successes and failures in the glass and glazing sector."